Hari Raya is expected to dawn in the first week of June and plenty are already abuzz about what to buy and wear. 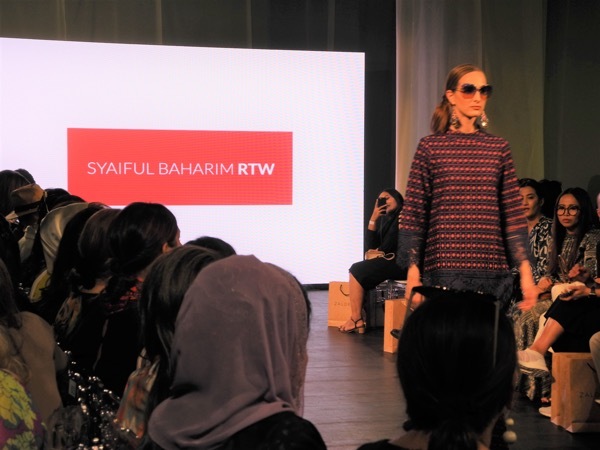 On 14th March 2019, I attended a fashion event at Publika, Kuala Lumpur showcasing what certain Malaysian designers and brands are producing for the coming festivities. Leading online shopping platform, Zaloraya, returned this year to attract a larger crowd to their exclusive beauty and hijab workshops that took place at the White Box, Publika. Making my way through the young and fashionable crowd, I was actually troubled by hunger due to a delayed lunch but fortunately there were pizzas and burgers being served. While chowing down food in a hurry, I watched as a crowd of ladies surrounding a nearby booth made excited comments such as ‘Ya nice, cantik lah’, as a makeup artist completed a fabulous makeover on a volunteer. There were also beauty tutorials by special fashion icons. With little time to linger in the beauty section, I had to hop around the corner to the Black Box for the fashion show to which I was invited. This year, the theme for the #Zaloraya2019 fashion show is the timeless art of wayang kulit. This form of puppet shadow play, particularly well known in Kedah and Kelantan, is an ancient heritage of the Nusantara region. Apparently, the theme was intended to encourage designers to create, curate and tell their own stories of style. The Black Box was packed with invitees arriving early to take up their seats. While public figures, fashionistas and members of the media were all over and engaging with friends, I opted for a standing position amongst the photographers for the best viewpoint possible. Opening the runway by Zalora was none other than our veteran Sarawak style icon and international fashion designer, Dato’ Tom Abang Saufi, whose last showcase was at Alta Moda in Kuching. Dato’ Tom, as she is popularly referred to, was born and bred in Kuching but mainly resides in Kuala Lumpur when she is not occupied with travel overseas. ‘My collection is called BORNeoChic, a combination of ethnic inspiration from Borneo and my holidays in Morocco,’ explained Dato’ Tom as I queried on her latest work. Ethnically inspired motifs from Borneo are proudly featured on menswear in black and white as well as colourful kurung. Whereas sunny, shining shades of blue and orange on vertical lines, reminiscent of Morocco, were captured by other pieces. Dato’ Tom took to the stage for the finale while aiming her mobile phone at the audience, who delivered plenty of applause. 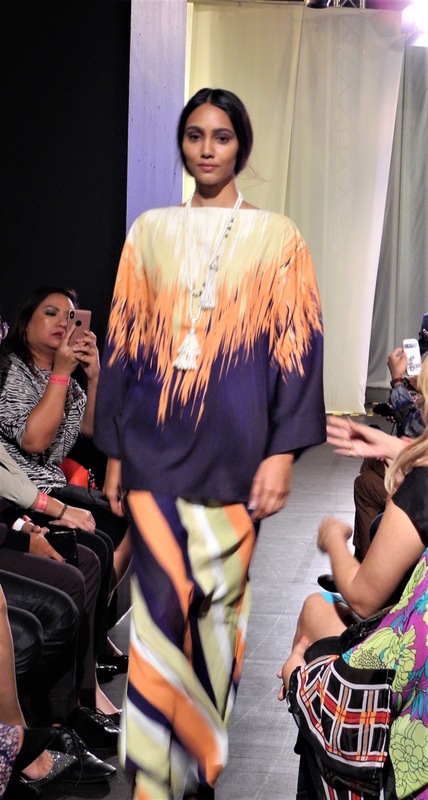 Other fashion shows were courtesy of Syaiful Baharim, LUBNA and Ezzati Amira. With the models strutting in various directions and the close proximity of guests to the same, an unhindered and clear view of the fashion was available to all. Dato’ Tom Abang Saufi at the finale of her show, snapping pictures of the appreciative audience. Dato’ Tom’s latest designs carry inspiration from her adventures in Morocco. An ethnic-style kurung by Tom Abang Saufi. Bornean motifs on monochrome menswear. Ready to wear by Syaiful Baharim for the urban lady. LUBNA’s fashion seeks to accommodate all sizes, including this laced kebaya with flared sleeves and trimming. Ezzati Ameera’s work is elegant and comfortable. 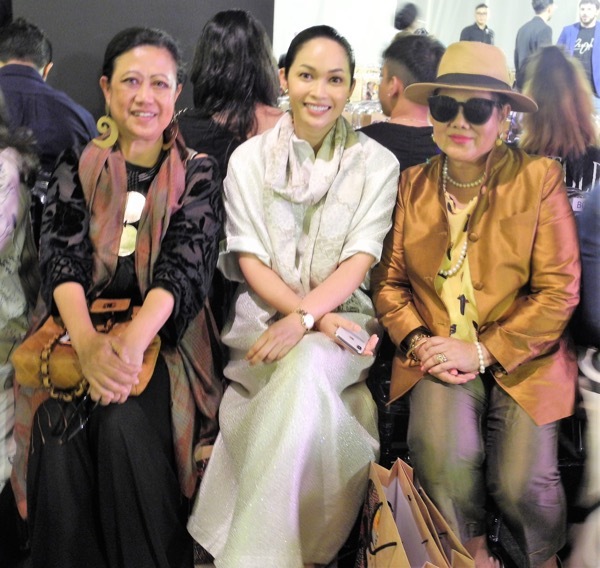 Guests at the Zaloraya 2019 fashion show included (from left) Habsah Abang Saufi, Datin Sri Camelia, and Dayang Mariam Abang Saufi, originally from Kuching, Sarawak. 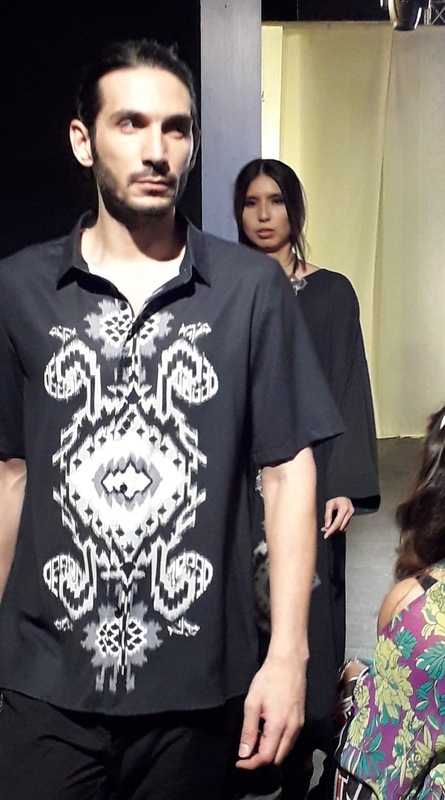 Syaiful Baharim, a known designer among VIPs and consummate fashionistas, showcased his ready to wear pieces which merged eastern silhouettes with western styles. Very modern. 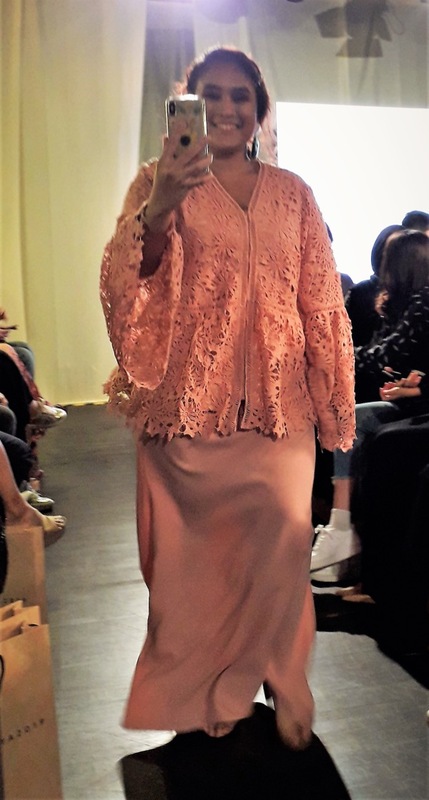 On the other hand, LUBNA surprised us in their opening with a plus sized model showing off a modern and lacy two- piece outfit while unhesitatingly brandishing her smartphone along the runway. Apparently, plus-sized fashion is garnering increased attention these days, in line with the desire of women of all shapes and sizes to look good. #ZALORAYA2019 and Boost are currently offering a promotion for shoppers on the popular e-wallet app, with the code ‘BOOSTZALORAYA’. Have you decided on what to wear this Raya? A preview of Raya Fashion for 2019 0 out of 5 based on 0 ratings. 0 user reviews.